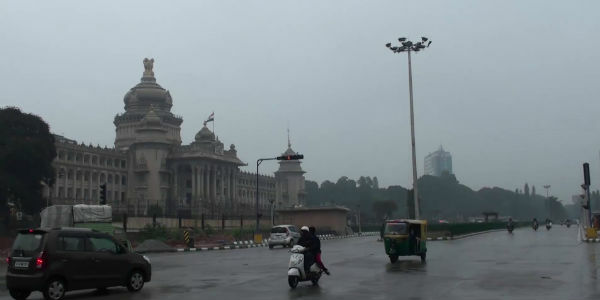 Bengaluru is all set to witness fresh spell of rain and thundershowers during the next 24-48 hours. All thanks to the well-marked low pressure area over Bay of Bengal. The system is presently prevailing over southwest Bay of Bengal and adjoining Tamil Nadu coast. The system is likely to move westwards over Tamil Nadu soon. Thus, Tamil Nadu, particularly north coastal parts are already recording rain and thundershowers. Slowly and steadily, weather conditions are becoming conducive for rain and thundershowers over South Interior Karnataka including Bengaluru. Weather has already gone cloudy over the city, which would get intense as the day progresses. 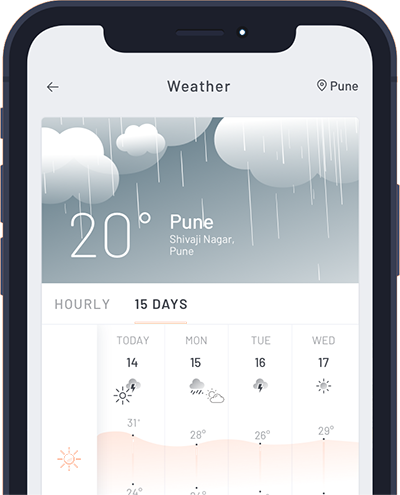 Rains are likely to follow soon. Till November 22, Bengaluru is likely to record light to moderate rain and thundershowers, with few short spells of intense rains. But we would like to clarify heavy rains are ruled out. By November 23, rains would start receding as system would become less marked after coming on the coast. As per weathermen, this approaching spell can be touted as first good spell of rains during November. So far in November, the state has recorded mere 1.5 mm of rain against the monthly normal of 50 mm. Also, these showers would pave way for extremely pleasant weather conditions, with day temperatures in higher 20s and minimums below 20°C. Especially, residents of the city could see chilly weather during late night and early mornings.